Good afternoon, we are here, give us a moment. It is August 11, 2014 Full Moon in Aquarius, let us begin. There’s much going on in the world at this time that seems to be very chaotic, very dark. You have conflicts in parts of the world that seem to be getting out of hand or enlarging. You have old conflicts coming back, whether it is what’s going on in Iraq, what’s going on in the Ukraine, what’s going on in the Gaza Strip, or in other places, and those who are anticipating the movement into the Golden Age, here you are already into the Aquarian Age and wondering how does any of this square up with the idea, the ideal of the Aquarian Age. What you are seeing is the last gasps of this kind of activity because those who are unwilling to go forward, unwilling to go forward into the Aquarian Age, into this Golden Age that we have spoken of and there are some that are quite invested in the past. They are doing their last gasp efforts to derail the future. Now, we say derail the future, if you can imagine time and the planet as if it was on a train track, and you have been on this train track for a long time, you’ve been traveling through parts of the countryside, and now the train is finally going to reach someplace that has been on the schedule for quite some time and there are some that don’t want the train to arrive. And so they are plotting and planning ways of stopping the train from arriving at the station and they have been aware of this for a long time and have plotted and prepared. But we would suggest is that the train has been getting upgraded while it’s been on its travels, as it’s been moving along it’s been getting upgraded and it has been getting new technologies and that when the train arrives at some of these derailment points it will be discovered that it does not need the rails any longer anyway. It will be discovered that the train can levitate or travel above the ground without rails and it will be discovered that the technology has upgraded not just the train itself but all the passengers. They are smarter, they have been they… have been awakened up, maybe many were in the sleeping booths and now they have been woken up. And so as these remnants of the past attempt to derail the train, know that they have missed the upgrade, they have missed that the upgrade has happened, and so they are trying to use some of the old techniques, and they appear to be working but then again maybe they’re not. And what we mean by that is you will see going forward that many of these conflicts will begin to get solved… In very, very unusual or not in the normal fashion, won’t be just cease-fires and borders, it will be bigger than that. It will be bigger than that. And we’re not talking about over the next few weeks or moons, we’re talking about over the next few years that the solutions moving into the Aquarian age will be seen to be big changes in the boundaries of human consciousness. And so imagine yourself already there, those who are watching the unfolding of some of these events project yourself for a moment or imagine yourself for a moment in this place one year, two year, five years down the road, we’re not going to go much beyond five, and see the outcome and upgraded humankind solving these problems. There’s a movie that our vehicle watched recently called Limitless where the potential of the human mind was expanded through a drug and this man went from being ordinary to being extraordinary. And our vehicle wondered at the end of the movie, this one man had done so much, but what would’ve happened if everyone had this drug, what would’ve happened if this drug got into the water supply or something like that and everyone was moved to that level? And we would say he was getting a glimpse of where you’re going –– a place where, we’ve always said each and every one of you is a unique spark and is very valuable, great potential, very valuable! And that coupled with this kind of an expansion is what we’re talking about. And so all of a sudden you can imagine people solving problems, people solving them not just pushing them off till tomorrow, but actually solving them and fixing things that have been long, long overdue for revamping or retooling or whatever term you wish to use. And this will happen individually, it will happen with each and every one of you seeing your own consciousness expanding, your own consciousness waking up, and then you will see it in others, you will see it in your neighbors, you will see it in the newspapers, happening in places. And so imagine that for a moment, imagine that that is really the solution, because when you look at these wars now, when you look at these battles you think the old solutions are going to have to be the same ones –– more force, more weapons, more tactics, more defeats of enemies. And so you think, “Well of course we’ve… this is the way we’ve dealt with it before we had to crush Germany we had to crush whatever, we had to stop the intentions of some.” But imagine that the enemies become more enlightened, imagine that the combatants become more enlightened, then you can see solutions happening very quickly. Now one of the things that is going to be needed is the idea of forgiveness. Now many of you have been wronged or know what it means to be wrong, and there are cultures that have been wronged, there are races that have been wronged, there have been planets that have been wronged, and if vengeance for being wronged is the solution that you’ve come up with then we would suggest there will never be an end. And so if you can imagine the solution being a new modality, we would suggest that part of that modality will be the idea of forgiveness, going forward without looking backward, and that will become more and more and more obvious to you as you begin to learn more and more and more of what has happened to you as a culture, as a planet, as individuals. And many of these companies that are now the faces of the past, of the destruction, they will begin to be identified in more and more and more fashions. There’s this wonderful movie that our vehicle just watched about the, an old man in India, and old Australian man in India bringing back farming techniques connecting the farming techniques to the energetics of the planet, and how this is beginning to push back on the mechanized farming that has been destroying your farmlands and destroying your water and your air and your land. And so there are solutions, we’ve said many times in the past, maybe not to this grouping, that a lot of the solutions can come about very quickly. Yes you’ve done some destructive things on the planet, but the solutions, the new technologies will solve some of these problems very quickly and one of them of course is what our vehicle saw in this movie, One Man, One Cow, One Planet, something like that. And if you have not seen this movie we would suggest finding it and sharing it with anyone that would be of interest because that kind of change, that kind of a return to conscious living is at the heart of what we’re talking about. This Golden Age that we speak of isn’t going to be stained glass and high-rise buildings, it’s going to be a return to nature, is going to be a return of nature to your existence, and a conscious understanding of your place in the flow of life force energies because that is really what you are, you are like rocks in the flow of the river of energy –– really. And you think that the flow that comes to you and goes past you has no value and yet it is what sustains you. Your science has done great harm in isolating you from that flow but that flow now is upping its flow rate and so you are becoming aware of it again. And so see if you can feel that, you will begin to notice it really, seeing it flowing through not just you but your neighborhoods, your neighbors, your family members. You will be surprised at how that flow increases and brings conscious levels up like in this movie where it was done with this drug. Of course we are not describing a drug we are describing something that is more fundamental, an energy flow. Because that energy flow has been stalled, limited, but it is really on the rise, and we would suggest that if you are interested look into some things of this sort, look into yoga and things of that sort, things that move energy –– tai chi. Because these are the ancient remnants of an understanding of this flow and they can help you to understand it better. So see this Aquarian Moon as a glimpse into the future that we are describing where solutions, new solutions, solutions that cannot even be imagined from the past come forward, solve problems and propel you into that future we are describing. 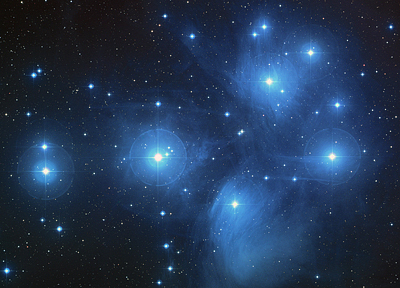 Thank U Channeler and Thank U Dear Pleiadians. A glimpse is like a thousand words. Into the future? Into the past? A glimpse of the passages of time and space as we know it. Offerring us a well ROUNDED perspective. Think of those cultures on our planet as if they were individuals like you and me. Each evolving spiritually at our own pace. There is struggle to grow. There is pain to overcome. There is love to be discovered. Compassion is the key to unlocking your true potentials. Be not for self but be for others. There you will find true happiness. You will findly be connected. As the song says, “It’s going to take a lot of Love to change the way things are.” Forgiveness. Thank you . Forgiveness is the key for all of us. However please look at the data in front of us. 90% of the world population live in poverty and have no time for spiritual development their focus is on survival. Those that control condition us to feel fear and model our world view on this. They cause war and suffering to keep us enslaved. Then the wishful thinkers talk of peace and a new age. There will be much devastation before any spiritual order will manifest on this planet. Unfortunately we will suffer as the earth rebirths itself. The earth is alive too and will do what she has to do to survive whether it through volcanic activity, earthquakes, tsunamis. It is our lack of love and compassion which is our downfall none of us are immune from the savage life on planet earth.